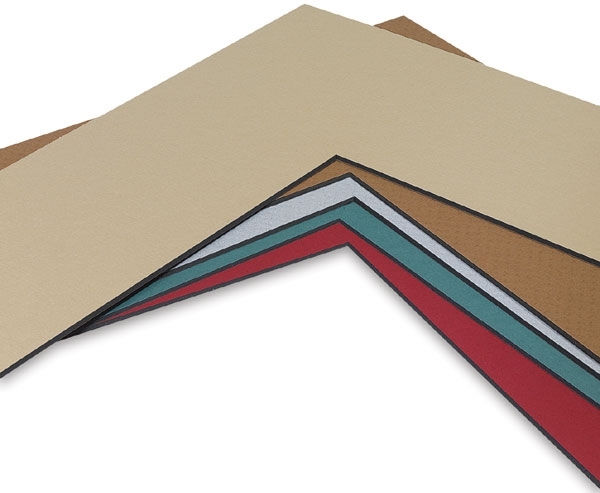 This premium line of matboard has 100% cotton rag core and backing paper. The colored surface paper is of the finest quality, fade and bleed resistant. All components of this matboard are buffered, 100% acid and lignin-free. Recommended for matting fine art originals, valuable documents, and limited edition prints and photos. Individual boards are 4-ply, and measure 1/16" (1.6 mm) thick.